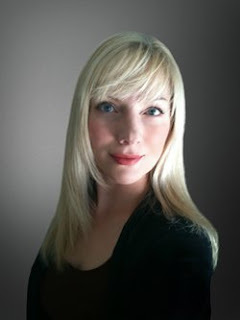 Danika Stone is an author, artist, and educator who discovered a passion for writing fiction while in the throes of her Masters thesis. 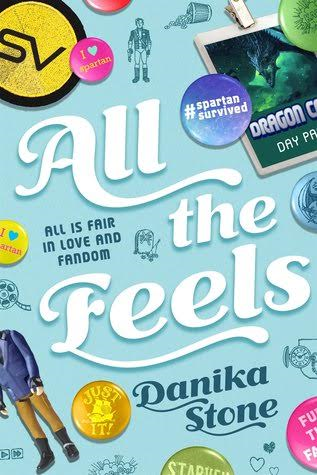 A self-declared bibliophile, Danika now writes novels for both adults (The Intaglio Series, Edge of Wild and Ctrl Z) and teens (Icarus, and All the Feels). When not writing, Danika can be found hiking in the Rockies, planning grand adventures, and spending far too much time online. She lives with her husband, three sons, and a houseful of imaginary characters in a windy corner of Alberta, Canada. Starveil means everything to Liv. She's a college freshman with an active online social life. She's a bit awkward around people, but she does have one really good friend whom she met during one of her classes. His name is Xander and he's into steampunk. He behaves like a gentleman from a different century and loves cosplay. Liv badly needs his acting skills and his love for roleplaying. When Starveil's main character Matt Spartan is killed at the end of the new movie Liv is heartbroken. She loves him and he means the world to her. With Xander's help she comes up with a plan to rescue her favorite character and #SpartanSurvived is born. Liv's mother doesn't like Liv's fangirl life. She thinks she's neglecting her studies. Liv has to find a way to keep up her grades, but that might mean missing the thing she loves doing the most. Meanwhile Xander is trying to convince her to go to DragonCon. He wants her to come with him and experience something he loves. Will Liv go with him even though she's shy? And will she be able to meet her big hero at the convention? 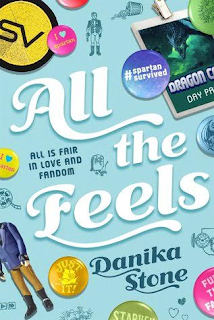 All the Feels is a wonderful story about cosplay, fandom, creativity, friendship and love. Danika Stone has written a fun story with two amazing main characters. Xander is eccentric and he has a lot of self-confidence. He has the ability to completely be himself. He's kind, he's caring and he uses old-fashioned words. His personality made me smile over and over again. Liv is nerdy and she doesn't like crowds. She doesn't know how fabulous she is. She's kindhearted and talented and I loved reading about her ideas. They have a special connection and I found them both adorable. Danika Stone's writing flows easily and I love the words she chooses to use. I liked the Starveil idea and think the fanfiction at the end of the book is a lovely extra. Danika Stone pays attention to details. Her descriptions are accurate and vivid. She gives her characters a solid base and that made me enjoy the story even more. All the Feels is a story that has a strong message, it shows that chasing your dreams is always worth it. Being yourself is important and showing your true identity to others can be scary, but it will also make you stronger. I love it when an author has something so positive to say. All the Feels is sweet and romantic as well and I liked it very much. 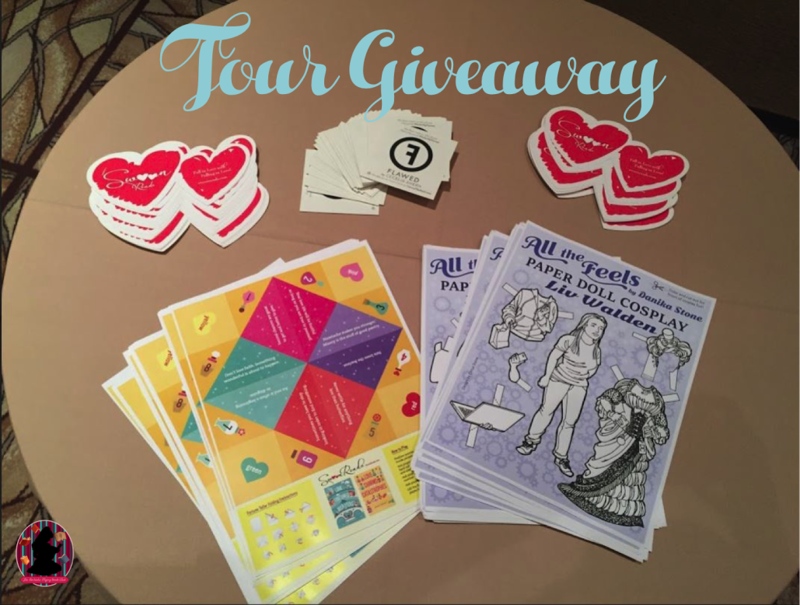 Win an All the Feels swag pack. Good luck! 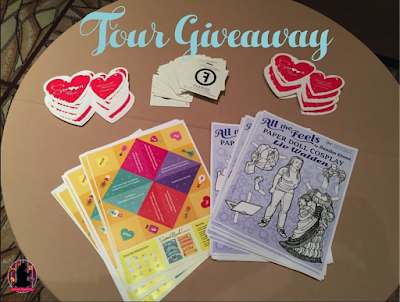 ALL THE FEELS giveaway swag is amazing! I've not read any book but the covers are marvelous! 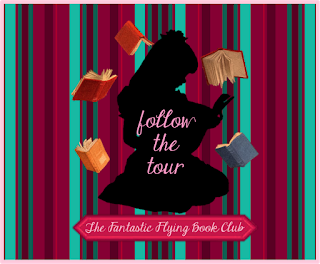 I haven't read the other books so I'd love to win this giveaway.